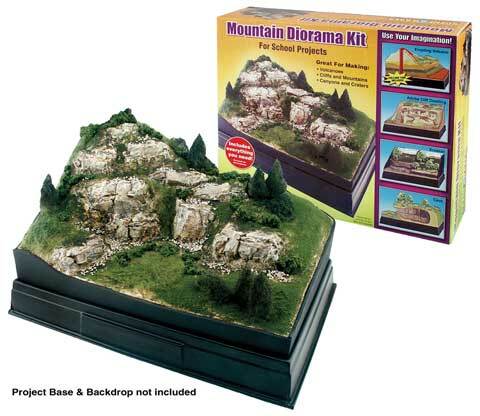 The Mountain Diorama Kit includes everything needed to create mountains or rolling hills for scenic dioramas. A volcano tube is included for building an erupting volcano. Great for displaying wind and water erosion, caves and more.